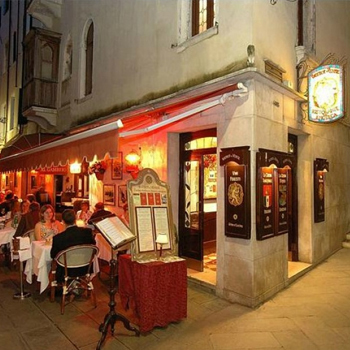 Venice, a city of merchants, was, in the past, the most important commercial pole in Europe with its rare and precious goods, among them the beloved wines which have given their names to the city’s streets. 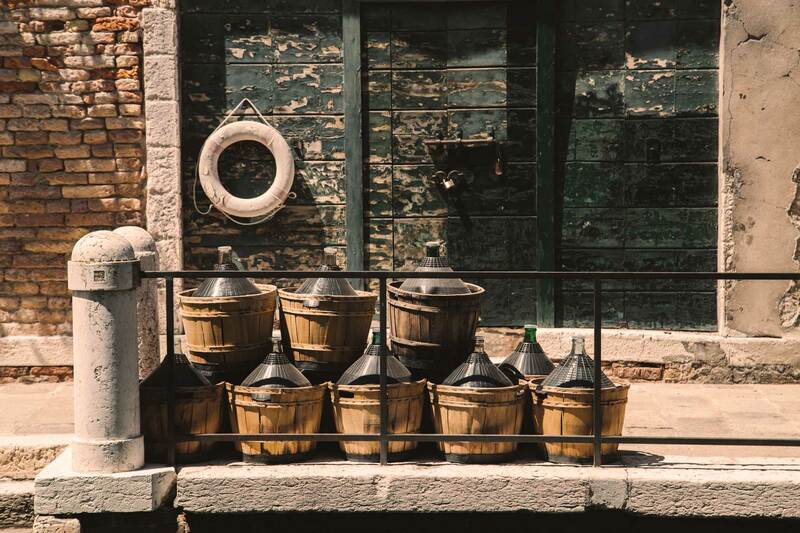 A wine tour in Venice which takes you through the streets and plazas or the merchants of the past and the commerce they practiced in the very heart of the city. You will arrive, just a few minutes from the railroad station and Piazzale Roma – after passing through the characteristic piazza of San Giacomo dell’Orio, once, centuries ago, a hangout for criminals – at San Cassiano where you will be able to admire marvelous examples of contemporary art at the Prada Foundation. Continuing onwards through the Calle dei Botteri, from which a series of streets which bring you back to the activities which were once practiced there begins. At the end of Calle dei Botteri you can walk along the bank which faces onto the Grand Canal, known as Riva dell’Olio (oil) because the precious olive oil which came from sunny spots in the Mediterranean (Greece and southern Italy) was once unloaded here. A product which was truly precious in that, in addition to seasoning the savory dishes of Venice’s cuisine, it assisted in their conservation and was, in addition, utilized for working wool. From the Riva dell’Olio we move straight on towards the fish market, symbolically the heart of the city. It is here that you can taste the true life, the hustle and bustle of Venice where all the fisherman prepare during the morning the catch of the day, which you can taste in the nearby fried fish shops and restaurants, A snack to stimulate the palate and come into contact with the verve of the true Venetian, accompanied by a glass of a delicate sparkling wine. 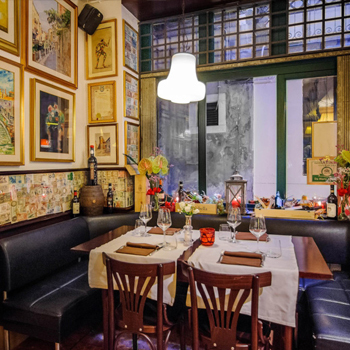 For those who wish to try a lunch in an old inn, there are various of them which go all the way back to the 17th century in this part of the city and, by reserving in advance, you can taste the local dishes along with a magnificent and structured Chardonnay. Those who wish to continue on will, in just a few minutes, find themselves in Campo delle Erbe, the old herb market. You can acquire the etremely fresh fruit and vegetables which can even arrive from Venice’s gardens: the islands of Sant’Erasmo and Vignole. In this spot you can admire the statue of the hunchback, which recalls the lengthy races which the Republic forced thieves who had been captured to run as a way of making amends. 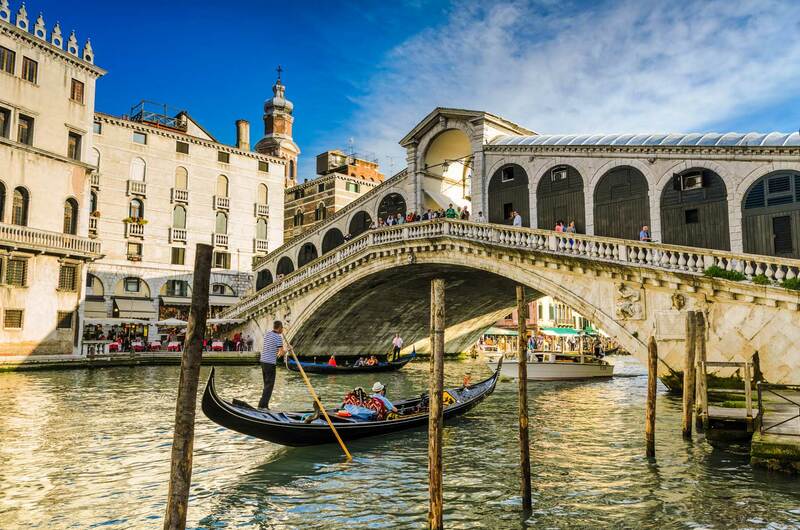 To admire the Grand Canal in all of its beauty, no spot is better than the Rialto bridge, the unmistakable symbol of the Venezia DOC appellation itself. Enjoy the lovely bridge of the close by Riva del Vin (the Shore of Wine), given this name because it was used to transfer the casks full of wine which would then be sold to restaurateurs, innkeepers, and private citizens. 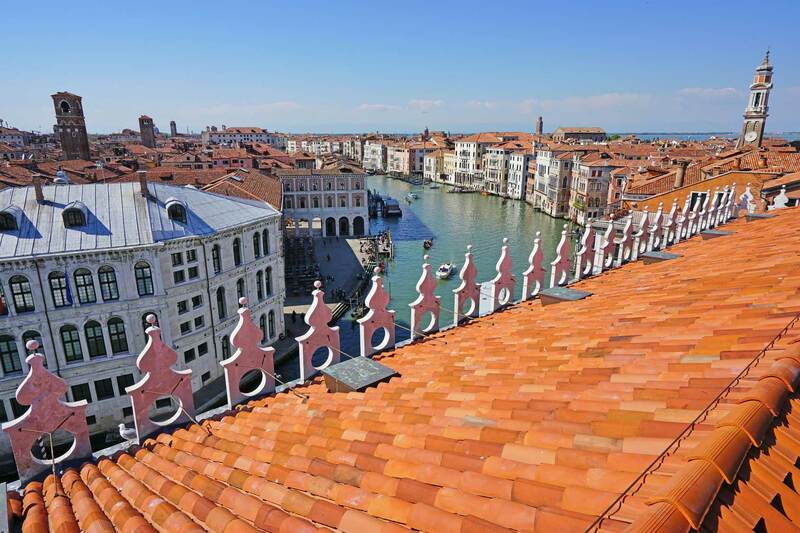 In front of you, on the other side of the canal, you can observe the magnificent Dolfin palace, the residence of Lodovico Manin, the last doge of the Most Serene Republic of Venice. 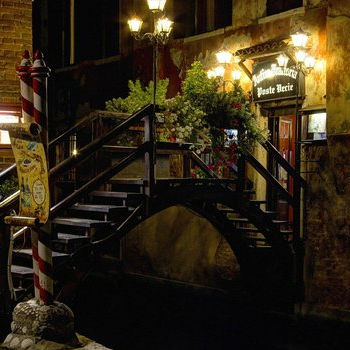 If you cross the Rialto bridge, you can visit the ancient Fondaco dei Tedeschi, a palace and edifice which was utilized as a warehouse and market by the German community of Venice. This constituted a sort of embassy, an area in which it was possible to find the precious merchandise which arrived from Germany. Now you can find in this spot luxury goods with the most famous designer names and trademarks and acquire an elegant DOC Venezia sparkling or rosé wine. It is highly recommended that you climb up to the top floor terrace to admire the whole city below. 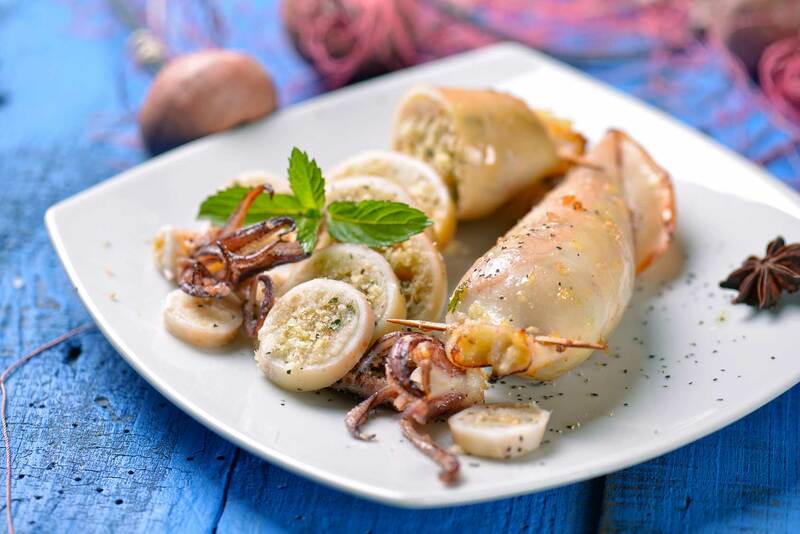 Continuing through the Mercerie, once the textile zone of the city, you will arrive in an area of delightful inns and bistrots where you can relax and enjoy yourself: you will be struck by the traditional dishes artfully accompanied by a Chardonnay or Merlot.